Youn Sun Nah was born and raised in Seoul, she studied jazz and contemporary music at CIM Jazz School in Paris. In 2007, she started her collaboration with the Swedish guitarist Ulf Wakenius, bringing her a contract with German label ACT and world-wide fame. On her album recordings she is accompanied by Lars Danielsson and Vincent Peiran and on her latest album She Moves On, she makes a surprising shift with chosen American avant-garde crew (Jamie Saft, Brad Jones, Dan Rieser, Marc Ribot), performing great covers of the best music by Jimi Hendrix, Joni Mitchell, Paul Simon and Lou Reed, among others. First performance in Serbia she will have at 34th Belgrade Jazz Festival, on October 28th at Kombank Hall. Concert is supported by Embassy of South Korea in Belgrade. Tickets are available via EVENTIM service. Is jazz music popular in South Korea? How did you get in touch with the music of the West, how did you get to like it and decided to study Jazz and chanson in Paris? 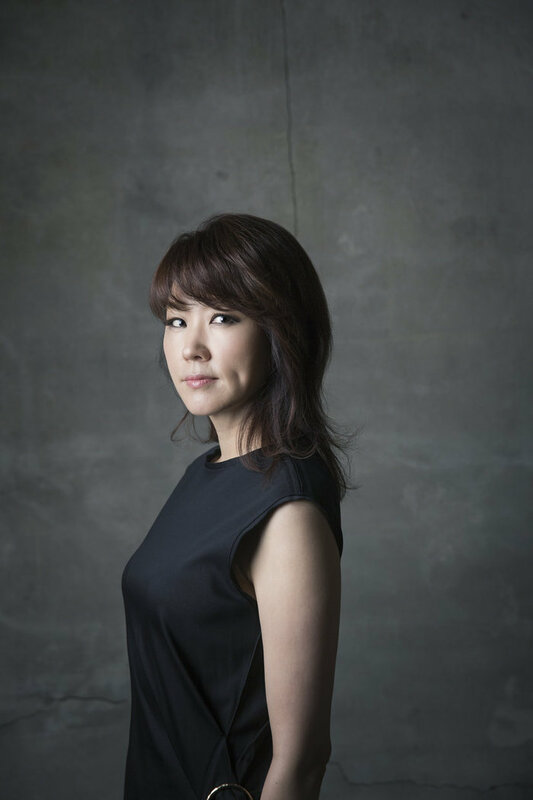 Youn Sun Nah: Jazz is not as popular in Korea than it is in Europe but it’s getting there. I started to listen to Western music during my teenage years: American pop and folk music, but also French songs. I discovered jazz at the same time as I was studying it, before I knew nothing about it. I turned to jazz by accident. I wanted to study music, and one of my friends advised and convinced me to learn jazz. I decided to study in Paris because I liked both French songs and culture. I enrolled at CIM, one of the first jazz school in Europe, and right there it was love at first sight. You are the winner of prestige “Order of Arts and Letters” established by the French Ministry of Culture as well as “ECHO Music Prize” for the best vocal soloist established by the German music critics. How important is the opinion of music critics today and how big is their influence in music world? How important are these awards for the development of a successful music career? Youn Sun Nah: Awards, as much as the opinion of the critics are important because they bring forward the musicians who are the recipient of them. It’s a privilege to be exposed in a universe where there are so many talented musicians as well as artistic projects. When I started my career, I never imagined receiving awards. I dreamed of singing one day at festivals such as yours. I was very moved to receive awards and distinctions, but I never thought of the impact it could have over my career. I embraced them as a sign of recognition of my on-going journey. How do you manage to be original and authentic in a world full of musical genres and musicians creating and playing, available to the audience more than ever? What is most important in the creative process and performance, in your opinion? Youn Sun Nah: I’m still feeling like a beginner. I like to learn and try new things, work with different musicians or producers. I listen to a lot of music; it allows me to keep a healthy distance from what I do. I try to keep an open mind with what surrounds me. You are from South Korea, you studied in France and you sing in English language all over the world. You are a true ambassador of this year’s BJF slogan “No Limits”. Youn Sun Nah: I like your slogan a lot! I did have an epiphany for jazz because it has opened my mind. Music has a language of its own, a universal language with no borders.Two musicians from different countries who meet for the first time, will always be able to create a melody. Their music will be able to touch other people throughout the world, move them, make them dance. Music is a language that anyone can understand, with his own feeling, without being able to speak it.Jazz has been around for a century, I think there are still some nice years ahead and it holds a special role being educational, social, creative or entertaining. Your performance in Belgrade will also be part of the “Days of Korean Culture 2018”. Did you expect a manifestation dedicated to the culture of your country in Serbia? Youn Sun Nah: Absolutely not, I’m very happy and honored.Korea has opened a lot to the world these past years, and it really warms my heart to know other countries are interested in the Korean culture. The country was completely destroyed during the Korean war, but it has a history of 5000 years. You are visiting Serbia for the first time – do you know anything about Serbian culture and music? Did you have the opportunity to hear any jazz musicians from our country? Youn Sun Nah: Unfortunately, I don’t know much about the Serbian culture, and I’m sorry! That’s why I’m really excited to come because I’ll have the opportunity to discover your country. However, I have had the occasion of working with one of your fellow countryman, Bojan Zulfikarpašić. He has been living in France for many years; I saw him in concerts often. He had impacted me when I was studying in Paris. We recorded a song together for a record in homage to Nina Simone 4 years ago. What program you will perform at Belgrade Jazz Festival? Youn Sun Nah: My musicians and I will play a few songs from my last album “She moves on” but also many from my previous albums.